The 43rd Annual Charity Heart Marlin Tournament benefiting the American Heart Association and MBMC will be held September 16, 2017. Lots of warm water and fish out there, so get your entries in! Early bird entries are due in by September 8, 2017. Click here to register online OR for the PDF Entry Form. For more information go to the Heart Tournament page. It’s been an interesting year so far watching the evolution of fishing techniques. 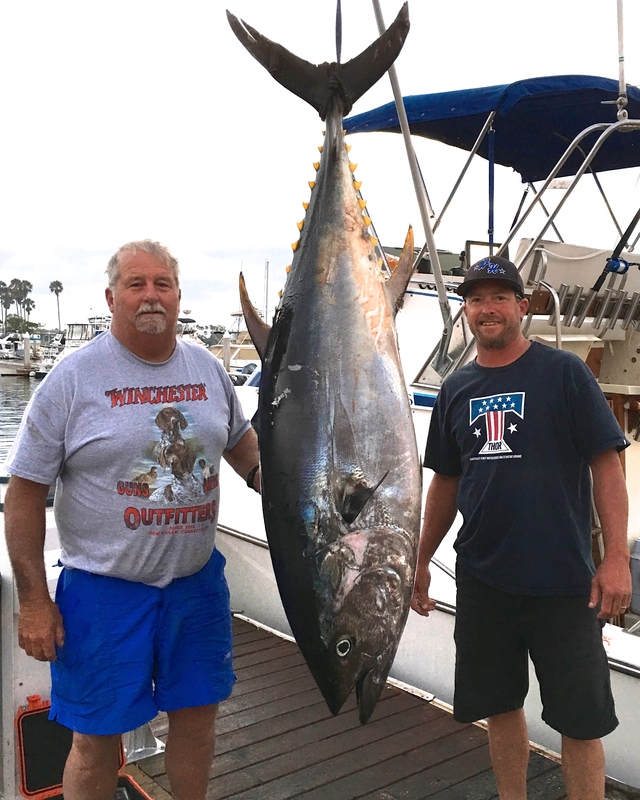 The learning curve is steep, and the methods have only been effective for a short time before the fish “Get Hip to It” and scoff at your offering. This week it has been trolled flying fish delivered from above. The details matter as it pertains to lure placement. Try to keep your lure off to the side in clean water (away from the wake and prop wash), 150 yds back. Tie a bright ribbon 20 ft above your lure so you can track its position, it should skip across the top of the water like a flying fish. They will normally dump half the spool on a size 50 Wide reel or more. As soon as he stops running, start grinding – and do not stop! Use low gear if you have to – but keep turning that handle! The lure should have a 8/0 – 10/0 size J hook and be rigged with 400 lb test crimped leader. The reel should have 100 lb test spectra backing as a minimum. I use a short top shot of 150-200 (heavy mono), crimped to a 300 lb BB snap swivel. 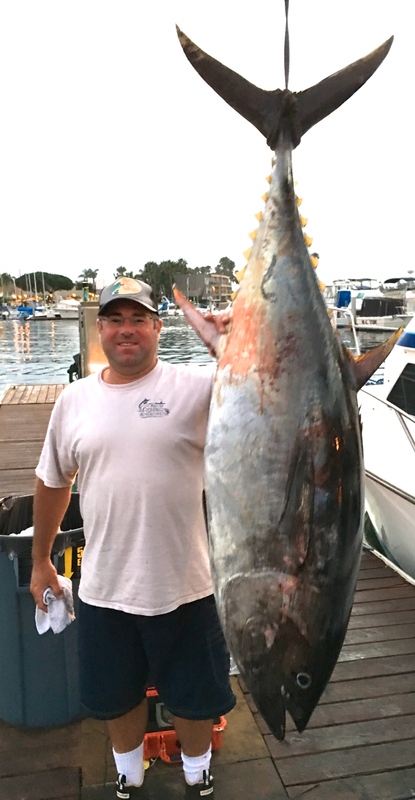 Congratulations to Travis Magnano our August FOM Winner with a 196 lb Bluefin aboard Bueno Pesca. It’s the current largest species so far. A personal best tuna for Travis and dad Frank. Congrats.